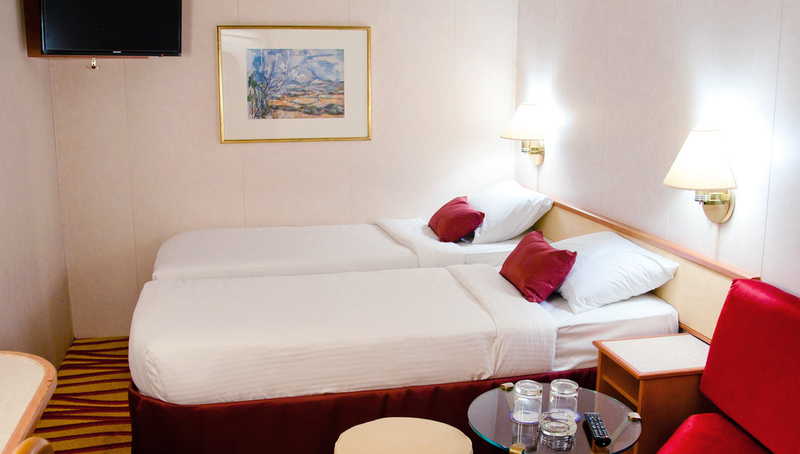 This budget option is ideal for a family of four or a small group of friends – and anyone spending most of their time on deck or using the ship’s many facilities. 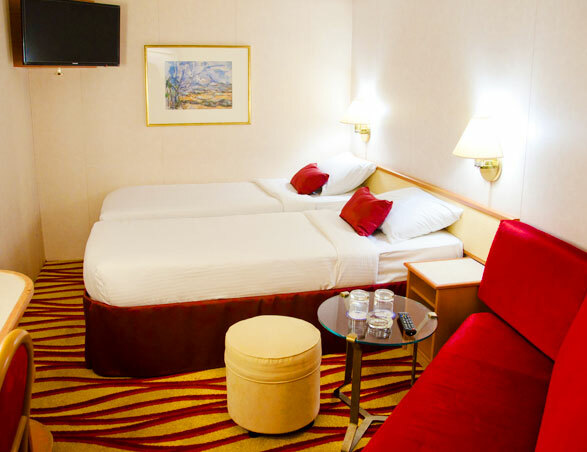 Cabins are bright, airy and feature flexible bedding arrangements. 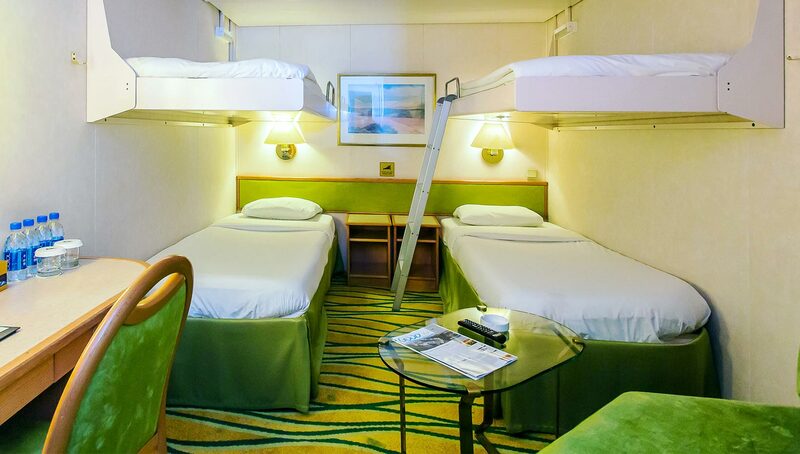 These cabins are a great option for a family or a group of friends who want to make the most of the ship’s sports and entertainment facilities. Cabins can be configured to suit your particular requirements.